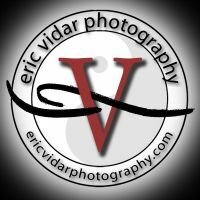 Additional Info: I began my freelance career early shooting weddings, portraits, catalogue products, and photo journalism. Through the years testing different career choices in music writing and performing, orchestration & notation, information technology, etc., I later began providing photography management and producing photo shoots for major catalogues and a toy company (American Girl and Mattel). I excelled in this field with a keen understanding of what is needed to produce and run a successful photo shoot with the patience and tenacity that creates a smooth process in working with others. I have a strong eye for detail and vision for understanding the clients’ needs in the final image. With 20+ years experience I am currently based out of Los Angeles, California shooting in studio and on location and often travel to other states for photo shoots. I also provide retouching services, consulting on digital asset and color management systems, and workshops for photographers.